Our Pocketful of Acorns project has taken a quantum leap forward with the launch of a new interactive website to help people plant a new community garden forest. 2. Put them in a plastic bag, take them home, and add some soil from your garden. The project is being managed by the FREdome Visionary Trust and promoted by Business Biscotti – a business networking movement. The online database will eventually be used to help track seedling collection. People’s homes are simply falling into the sea. And behind the East Anglian coastline lies flat agricultural land, upon which our nation’s food security depends. We cannot allow this to become salt-poisoned, ever. The aim of The FREdome Visionary Trust is to promote Carbon Cycling projects – A Pocket Full of Acorns and Operation OASIS. Our vision is the planting of rainforests from arid coasts in order to transform inland areas so that new agriculture can convert excess carbon emissions and waste into enough food and fuel for the world’s needs. FREdome has a magnificent new website which has been designed to host information about our various projects, as well as a history of our achievements and aims. Clifftop shadows, where static caravans once stood, graphically illustrate Happisburgh’s coastal erosion ticking time bomb. 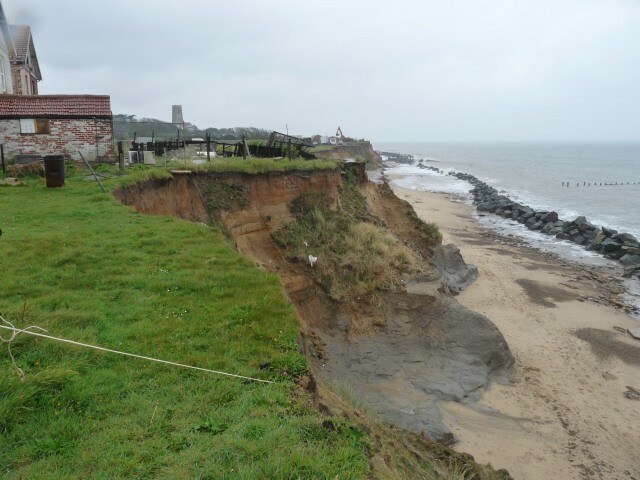 The North Sea’s relentless ravages have eaten away at the holiday business at Happisburgh sending once-firm land cascading down the crumbling cliffs. A dozen caravans have had to be hauled away from the dangerous front line to firm ground nearby. Now the Lomax family, which owns the shrinking Manor Caravan Park site, is urgently looking for a permanent new site safer inland. All around our coastline, erosion is accelerating and nothing is being done to prevent it or even slow it down. We put forward a sound logical proposition to stakeholders in Happisburgh and at a presentation in the House Of Commons, which puts forward the case for planting coastal woodland on sloped cliffs with stainless steel gabions (cages filled with stones to protect the toe of the planted slopes. This has worked in Dorset, protecting a 300 foot cliff adjacent to Naish Farm for 26 years. Did you know more and more rich Athenians are buying oxygen pods to keep their brains clear? That’s why Eliniko Oxygen is raising money to invest in a major installation of the only known technology that converts excess atmospheric Carbon Dioxide into oxygen. Eliniko Oxygen founder, international environmental capitalist, Pano Kroko, attended our first parliamentary meeting in 2010 when we presented the Operation OASIS solution. Its good to see him putting belief into action: where empires and great cities have failed – you see one consistent pattern of human behaviour that precedes it – deforestation. We salute you Pano – and wish you all the best for your new venture. Will the age of global restoration begin in the cradle of civilisation? 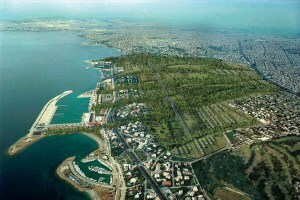 Former Hellinikon airport will be covered in trees see http://eliniko.org/one-urban-plan. 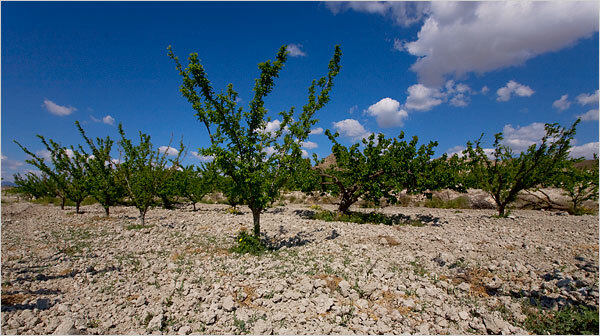 Desertification is spreading – time to tackle a real threat to world populations? Severe land degradation is now affecting 168 countries across the world, according to new research released by the UN Desertification Convention (UNCCD). Shrinking resources mean contracting economies and more money wasted on conflict. Operation OASIS is a reforestation project supported by the FREdome Visionary Trust. We have the technology and the resources to initiate large scale reforestation starting in the coastal regions of Africa. This is is an idea of a British inventor and naturalist Andrew K Fletcher. Time to put all our climate science, oceanography, meteorology, agriculture, hydrology, soil science and ecology knowledge into practice and get scientists working on a major colloborative initiative to restore growth. 12.30 am – a chance to tour the hotel’s leisure facilities & renovations so far. 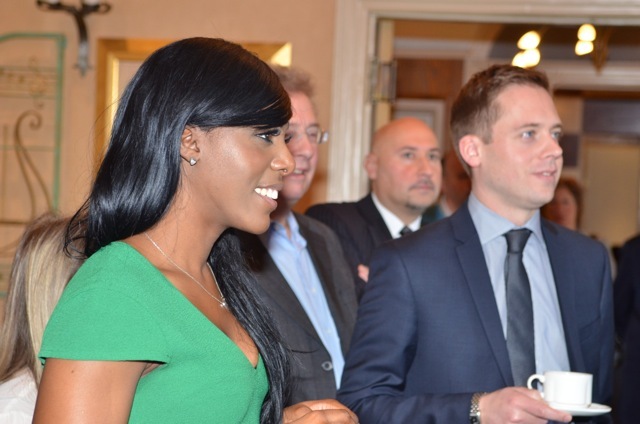 Ours is one of the best-attended networking events in St Albans, with 50-70 businesses large and small from all over Herts, even some in South Beds and North London. Always a mix of new faces and faithful regulars. No membership fees, meeting fees or venue hire charge – just £4 to cover your coffee and biscuits. Wander round informally, chat and make relevant business connections. Business Biscotti is business networking at its best, its FREE to join online and FREE to visit offline. We are looking forward to the next Business Biscotti event – due to feature an interlude from Biscotti attendee, Vasoula Christodoulou. As well as being the owner of Nirvana Spirit, a traditional Reiki Master & Teacher, and Karate black belt, Vasoula is a trained bellydancer who performs in venues around Hertfordshire and North London. She has agreed to give us a free show halfway through the morning! We welcome all local business representatives to our informal networking meeting which attracts up to 60 contacts in Hertfordshire, South Beds and North London. It’s held on the second Monday of every month in the delightful surroundings of Sopwell House in the newly refurbished restaurant. Come and meet new connections in the heart of Hertfordshire. Just the cost of your coffee. Visit our Business Biscotti page!